Women in Malay culture play a hugely important role. Not only are they the traditional carers and keepers of the house, very often they control the family’s money, finances, and sometimes even run its businesses. As such a purse for a Malay woman is a very fitting item. 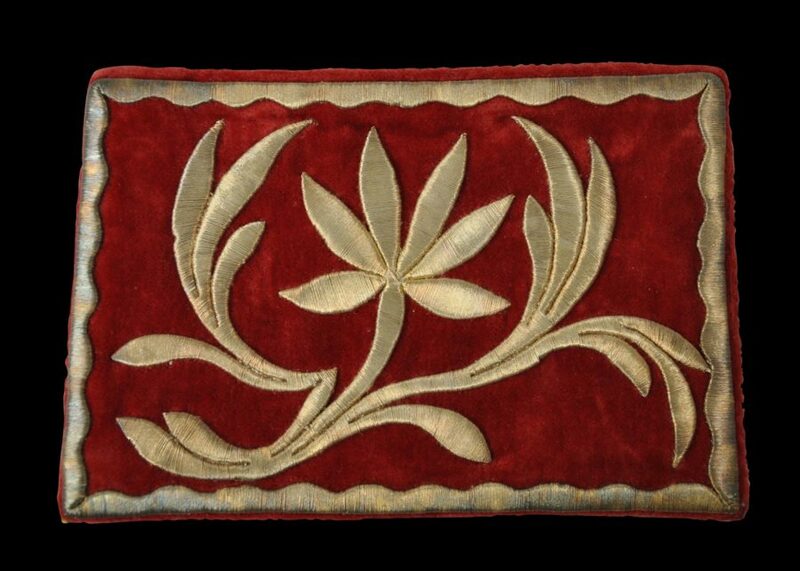 The example here is of red velvet that has been decorated on both sides in yellow thread with a stylised bunga orkid (orchid) motif. 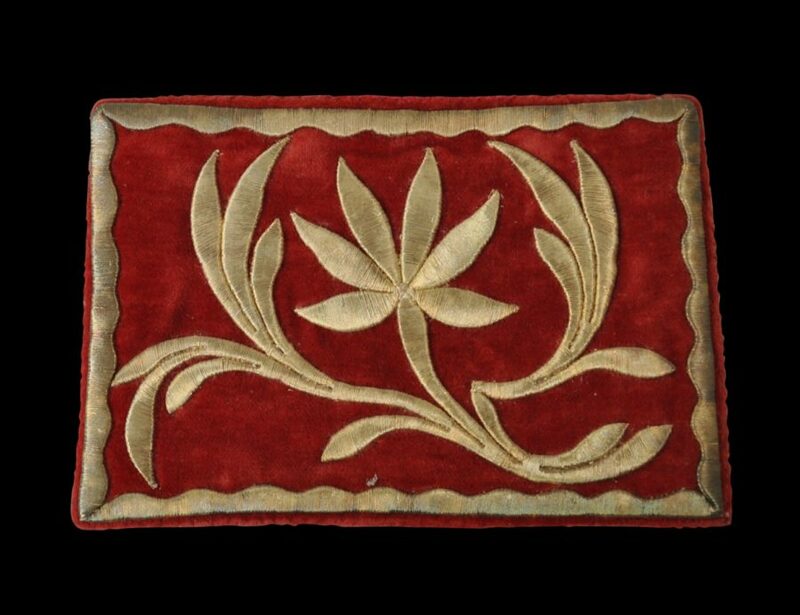 Tekat is the Malay name given to the technique of decorating textile panels (usually velvet) with thickly applied gold thread decoration. When the thread is applied by couching, the technique is known as tekat timbul or tekat suji. The interior of the purse here is lined with a red cotton textile and has two press-studs inside which can be pressed together to keep the purse closed. Ismail, M.S.Z., et al., Muzium Tekstil Negara/National Textile Museum, Department of Museums Malaysia, 2012. Uda, Y.M.R.D.P. Fuziah Raja Tun et al., Tradition & Continuity: Woven and Decorated Textiles of the Malay Peninsula, Islamic Arts Museum Malaysia, 2013.